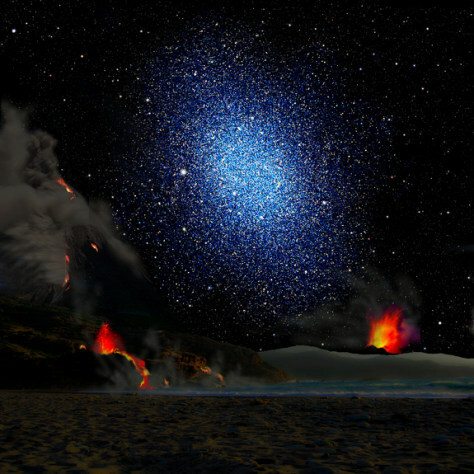 This artist's conception shows a dwarf galaxy seen from the surface of a hypothetical exoplanet. A new study finds that the dark matter in dwarf galaxies is distributed smoothly rather than being clumped at their centers. This contradicts simulations using the standard cosmological model known as lambda-CDM.